I see more of these in my future. 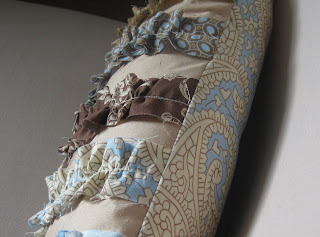 This is a fun little project for using your favorite scraps. I think they'd be great gifts for other sewers too. 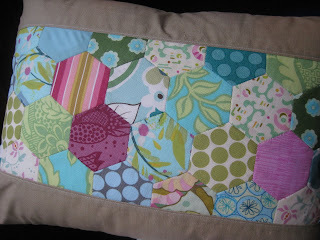 Who can resist patchwork usefulness? 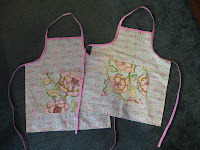 I highly recommend the tutorial by Pink Penguin I used - very clearly written with great photos of each step. Mine will be on my sewing table to collect tiny scraps destined for a tickertape doll quilt. 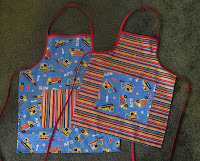 Okay, so I'm on kids apron #13, with three to go. Can you believe all 16 kids I invited to the cooking birthday party can come!? 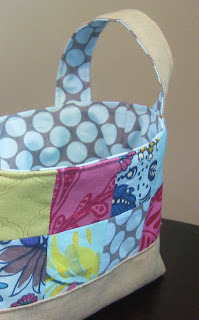 I needed a quick break with something fun to sew. 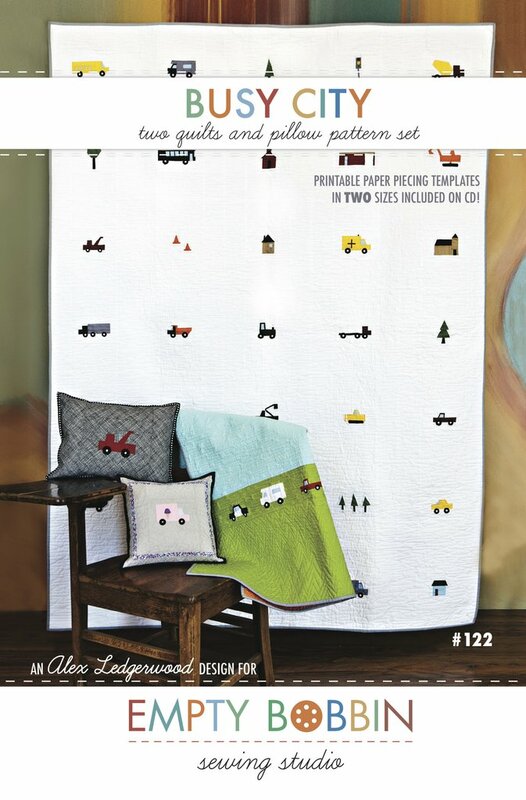 These fabrics are the same ones I'm using in my quilting bee quilt. My guest room is going to look so nice when I get that quilt on the bed! 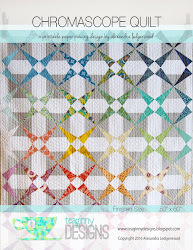 My fabulous new Modern Quilt Guild is not only the guild of designer Tula Pink, it is also hosting Project Plume. 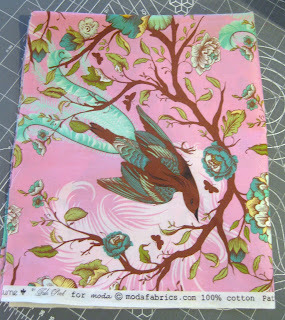 The challenge for the members is to take a charm pack of Plume (compliments of Moda - thanks!) 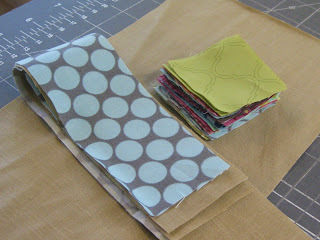 and a half yard of a fabric of our choice, and make a quilt top of some kind. This picture is a tease, as I'm not sharing photos of the finished quilt until after its shown at the Guild's April meeting - I know there are lurkers out there looking for ideas to steal! Ha! My first finished hex project! 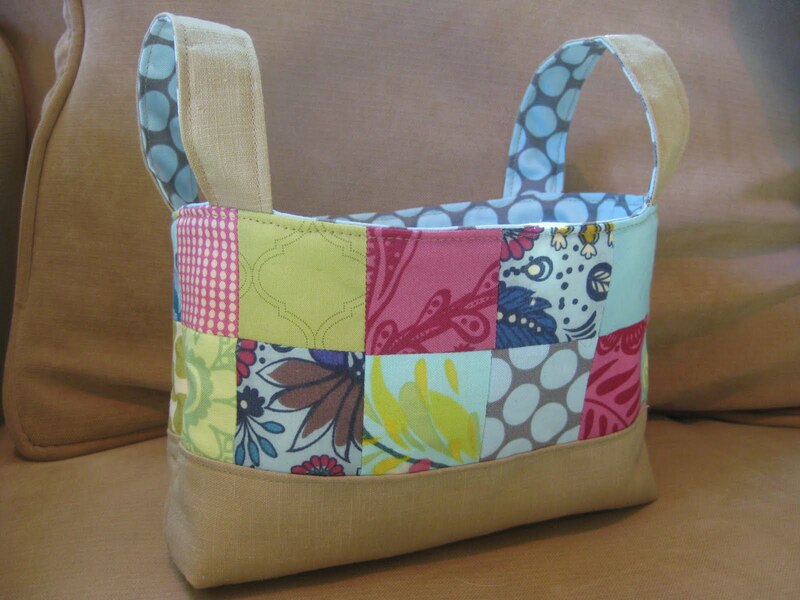 I loved the hand sewing on this. It's really not as hard as it looks either. There are lots of good tutorials. I used this one. The author even links you to a cool tool that allows you to download and print hex templates in a variety of sizes! 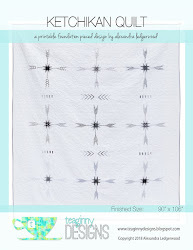 I paired my hexes with a nice linen-look cotton in a neutral color. I interfaced my front to protect the hex seams and prevent any distortion. The back is a simple envelope closure. 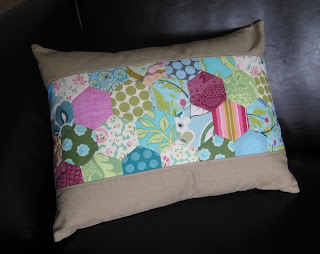 The pillow is 12x16, and it available in my etsy shop. 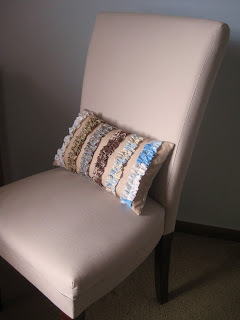 I really want to keep this one, but these super gorgeous colors and fabrics don't match any of my decor :(. About a dozen are set to come to a certain boy's cooking themed birthday party. 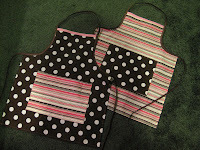 And every chef needs an apron right? Only another half dozen to go. 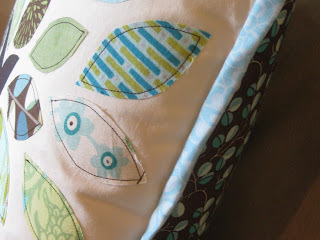 Here's another great scrap project. 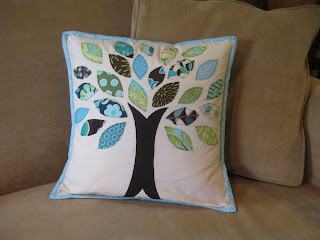 It's a quick finish too since it uses fused, raw edge applique. 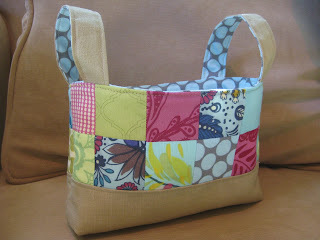 You can find the tutorial over at Cluck Cluck Sew. 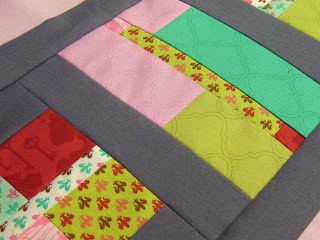 I used a quilt binding for the edges, but I think I like her plain finish better.